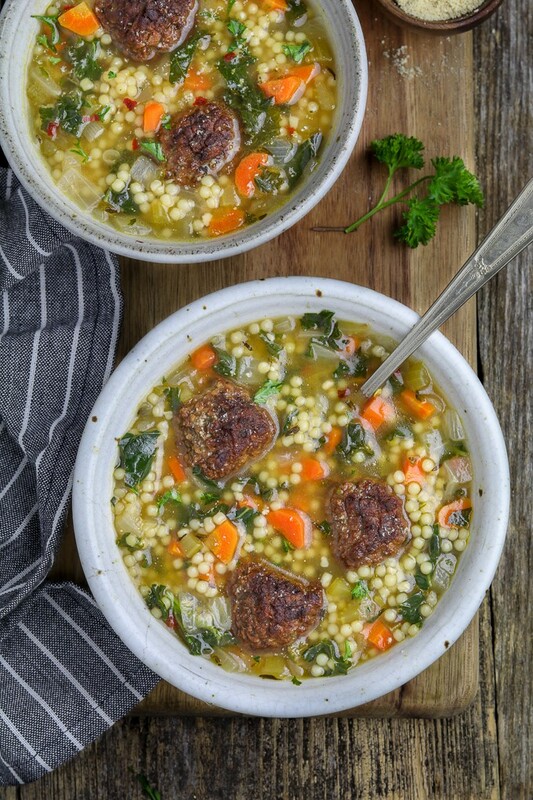 Warm up on a chilly night with a bowl of this Vegan Italian Wedding Soup. It’s brimming with veggies, pasta pearls, and savory vegan meatballs. After perfecting my Vegan Meatballs a few weeks ago, I realized that the possibilities were endless now. I’m talking Meatball Subs, Swedish Meatballs, Meatball Vegan Pizza and this Vegan Italian Wedding Soup. This was a childhood favorite of mine, and I haven’t tried a vegan version until now. What was I waiting for? This is GOOD! Seriously, who wouldn’t love pasta and meatballs together in a savory broth? **Crickets** It’s pure comfort and I just can’t get enough! 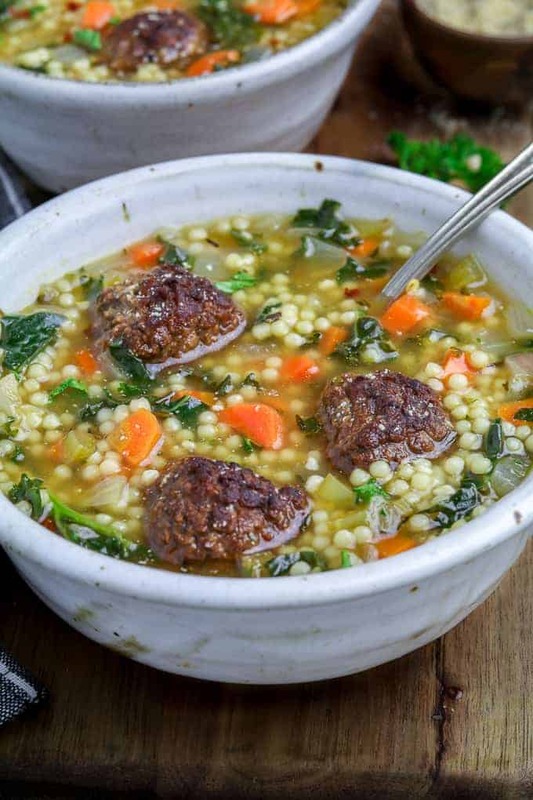 HOW DO I MAKE VEGAN ITALIAN WEDDING SOUP? Sauté onions, celery, and carrots until slightly tender. Add garlic and sauté for 1 minute until lightly browned. Now add the thyme and cook for 30-60 seconds until fragrant. Add the pasta broth, bay leaves, salt, and pepper. Bring to a medium simmer and cook until pasta is al dente about 10 minutes. Now add the kale and cook for 1-2 minutes to soften. Taste for seasoning and add more if needed. Add meatballs to the serving bowls and ladle soup on top. WHAT GOES WITH VEGAN ITALIAN WEDDING SOUP? I serve it with Vegan Parmesan Cheese, Crushed Red Pepper Flakes, Fresh-Cut Parsley, Lemon Wedges, and Fresh-Cracked Pepper. It goes great with a big loaf of crusty bread with a side of Vegan Butter too. YUM! DOES ITALIAN WEDDING SOUP FREEZE WELL? Yes, it freezes really well. However, I freeze the vegan meatballs separately so they don’t fall apart on the reheat. Just bake or air fry them before adding to the bowls with the reheated soup. 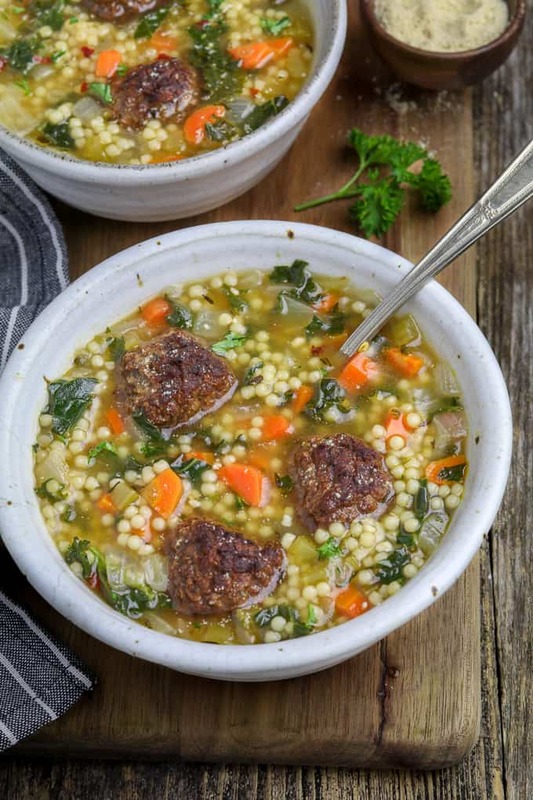 CAN I USE STORE-BOUGHT MEATBALLS FOR ITALIAN WEDDING SOUP? I absolutely love this soup with my homemade meatball recipe, but if you want a quicker option, you can use store-bought meatballs. I’ve used Gardein Vegan Meatballs before and the soup was delicious! If you use the store-bought, make sure to cook according to package instructions before adding them to the soup. 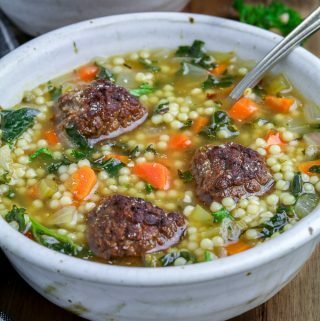 If you make this Vegan Italian Wedding Soup, let me know what you think by ★ star rating it and leaving a comment below. It would really make my day. You can also follow me on Instagram and share your creation with me. Just tag me @veganhuggs and hashtag #veganhuggs so I don’t miss it. 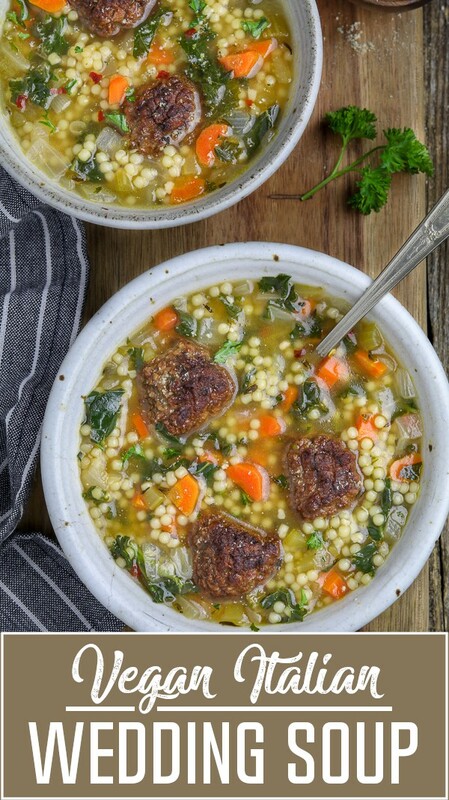 Warm up on a chilly night with a bowl of this Vegan Italian Wedding Soup. It's brimming with veggies, pasta pearls, and savory vegan meatballs. 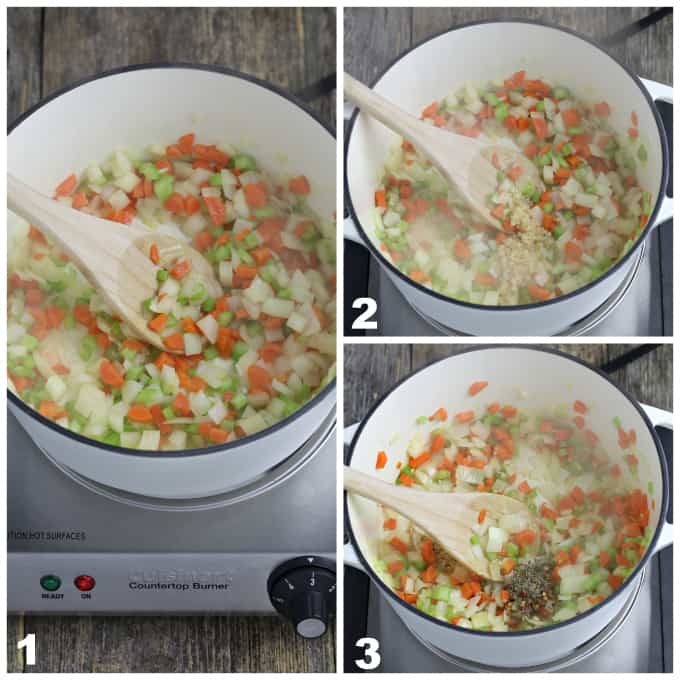 In a large pot, heat oil over medium heat and add onion, carrots, and celery. Sauté until tender and about 5-6 minutes. Add the garlic and saute for 1 minute until lightly browned. Add dried thyme and cook for 30 seconds until fragrant. Now add the broth, pasta, bay leaves, salt, and pepper. Turn heat up to get broth boiling and then turn down to a medium simmer. Cook for 8-10 minutes until pasta is al dente. Add the chopped kale and cook for 1-2 minutes to soften. Taste for seasoning and add more if needed. Add meatballs to the bowls and ladle soup on top. See note for serving/topping ideas. Enjoy! *VEGAN MEATBALLS: I love this soup with my homemade meatball recipe, but I've also tried it with Gardein Vegan Meatballs and it was delicious. If you use the store-bought, make sure to cook according to package instructions before adding them to the soup. *SERVING: Serve with crusty bread and top with Vegan Parmesan Cheese, Crushed Red Pepper Flakes, Fresh-Cut Parsley, Squeeze of Lemon, and Fresh-Cracked Pepper. * Nutritional info doesn't include the vegan meatballs. You can find that under my meatball recipe post or on the package if you use store-bought. 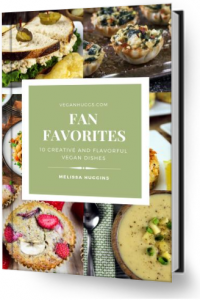 * Cook time doesn't include vegan meatballs. I followed the recipe exactly and got a wonderful hearty soup. To be honest, the meatballs were larger than I needed for the soup. I’ll make them about 2/3 smaller next time for the soup, but they were perfect for marinara sauce (I confess I ate about a half dozen from the pan before they made it in the soup). I did a comparison with 2 bags of commercial vegan meatballs that also tasted good, but the homemade ones had more heft and just were more satisfying to bite into. A real winner, thank you so much for sharing. Your recipe will be my go to for ‘meatballs’. 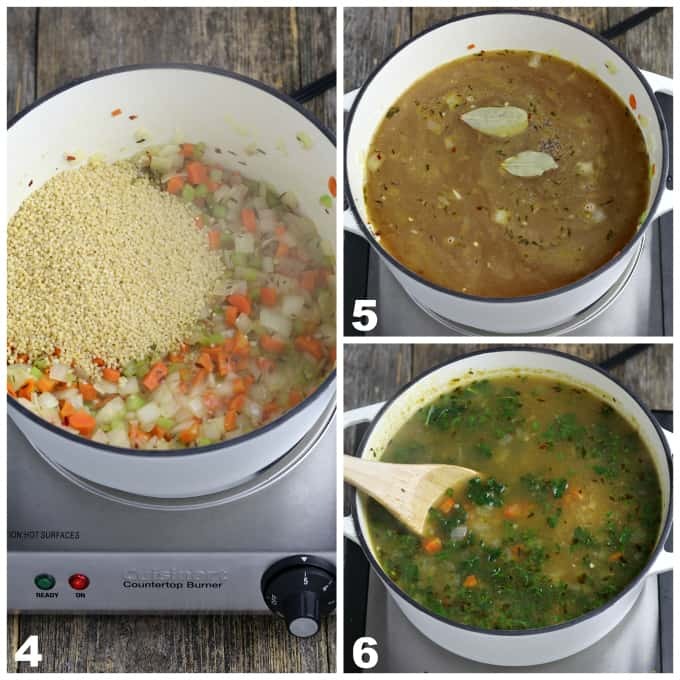 I love this soup and I love your recipe! Actually was planning on making it tonight for dinner when I saw your email. When I can find it, I use organic escarole or endive and in a pinch frisee, but kale is delicious also especially dino (Tuscan) kale. For alternative to the vegan meatballs I have used Beyond meat spicy Italian sausage (vegan) of course. As always, I look forward to your recipes.